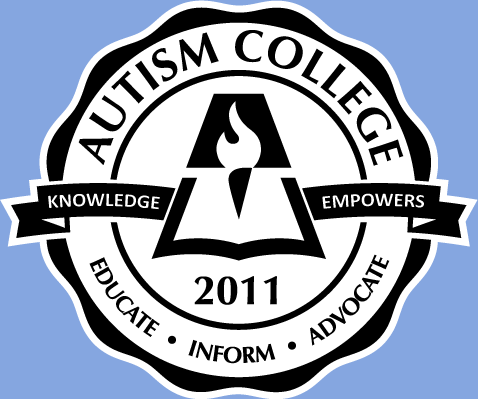 Autism College will present a free live Q & A on Monday, June 13, 2011 from 6:00 to 8:00pm PST with visiting professor Brian King, LCSW. Sign up below. Have you ever wished you had access to someone who could give you some advice on how to parent more effectively your child on the spectrum? Have you ever wished you could ask an expert how to communicate more effectively with your child? Sign up for this free Q & A (sign up for our newsletter to receive instructions or check back here) and you’ll be able to ask questions from an experienced therapist who has Asperger’s Syndrome. As an adult with Asperger’s and ADD, the husband of a woman on the Spectrum, as well as the father of three boys on the Autism Spectrum, Brian has the most comprehensive experience around regarding living on the Autism Spectrum. Brian R. King LCSW consults and speaks professionally nationwide, providing groundbreaking insights and strategies for bridging the communication gap between those on the Autism Spectrum and the rest of society. As a Presenter, Coach, and Mentor Brian trains his clients, ranging from parents, teachers, job coaches and individuals on the Autism Spectrum to develop and implement customized communication strategies for increasing collaboration. Brian is known for his interactive speaking style which emphasizes dialogue with participants. He is very direct, authoritative, creative, positive, supportive, solution focused and nonjudgmental. He focuses his content on providing concrete strategies participants can apply immediately. Brian’s thoughts have been cited in various books and publications including Autism Life Skills: From Communication and Safety to Self-Esteem and More – 10 Essential Abilities Every Child Needs and Deserves to Learn . Brian’s latest book, Let’s Relate: Strategies for Building Meaningful Relationships with People on the Autism Spectrum, will be published by Jessica Kingsley Publishers in 2011. For more about Brian, go to www.SpectrumMentor.com.